You are here: Home / Responsive Real Estate Websites / Is Your Real Estate Website Site Mobile Friendly? 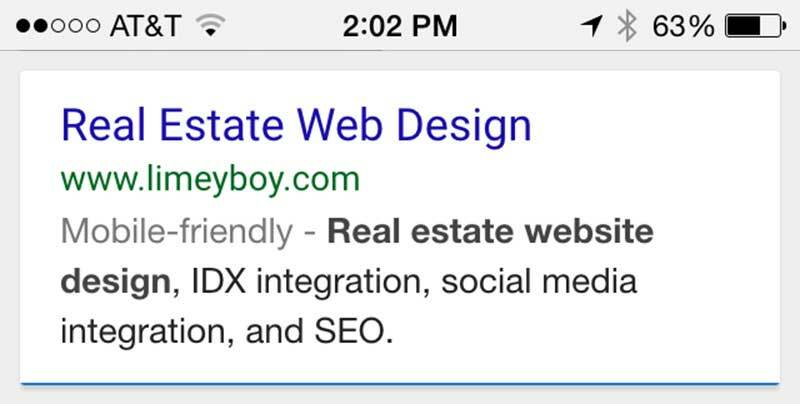 Is Your Real Estate Website Site Mobile Friendly? We all know that visitors to websites via mobile devices has been on the increase pretty much since mobile phones became ‘smarter’ by bundling web browsers and internet data connections. Statistically there has been close correlation between the popularity of smart phones and the number of visits to your real estate website using one. When smart phone screen sizes were smaller than they are today, and websites were built using a rigid or fixed width, visits to them involved a lot of pinching, zooming and scrolling to read the content. If you actually wanted to do something as refined as search for homes, good luck. The solution at the time to this increase in number of mobile hits was somewhat of a ‘cop out’, otherwise known, and more positively coined, the app. This was a much abridged version of your website that did fit the mobile screen, but it was limited to only showing the IDX search tools. It was a fairly clumsy and limited tool. If the visit came from a laptop or desktop you got everything, the IDX, the blog posts the content pages. If you came via a mobile all you got was the IDX and that was it. However the ubiquity of the mobile phone as meant that mobile visits have only increased, in fact in November 2014, the number of visits to websites via mobile devices exceeded that from laptop/desktops. Finally mobile phones and also the stepping stone device the tablet needed a dedicated solution. Fortunately around the same time came an advance in website design, which was to build websites on a framework that was flexible enough to enable the content to adapt to fit whatever size screen it was being displayed on with no loss. And so Responsive Design was born. Responsive websites are built on a grid system made up of rows and columns. Content is added into those rows and columns. 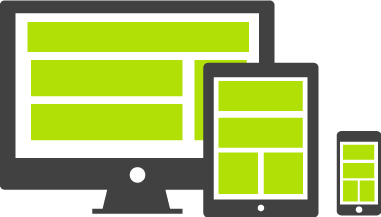 On each device width the dimensions of those rows and columns adapt or shift position to fit the screen size they are being viewed on. Not only is all the content retained and displayed but also, critically the text size also remains the same which improves usability. Google, recognizing that the numbers of visitors using mobile devices in search has reached a tipping point decided that they were going to favor mobile ready websites in the mobile search results pages. This makes perfect sense, google are in the business of delivering a successful search and find process, by directing searches on mobile devices to mobile friendly websites improves the experience of the google user.